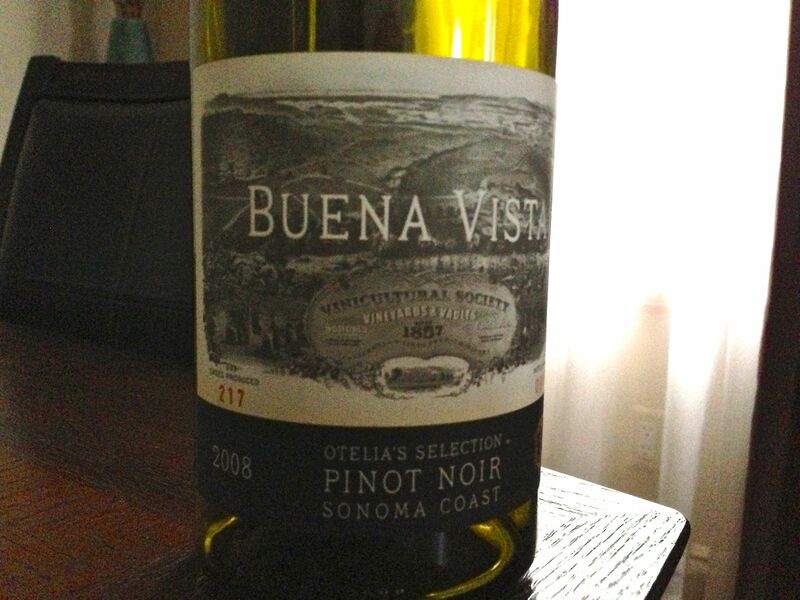 Buena Vista 2008 Pinot Noir, Otelia’s Selection, Sonoma, California, USA. Part of the reason the Buena Vista Pinots strike such a chord in our house is because they are more dark fruits (e.g., black raspberry, currant) and earthy spices (e.g., peppercorn) as opposed to strawberry and vanillas that I find a bit too cloying. The 2008 Otelia hits a whole of lot of marks for us and will for you too, if you can find it. The winery seems to have moved on to the 2010, which too sounds fantastic but we have yet to taste it. I’m savoring the last glass of the bottle just now as we usher in Sunday evening, but it was a key to a great Friday night meal of grilled steak (seasoned with pepper and salt if memory serves), fresh corn from the cob, and some potato salad. Even though it was probably still 90+ degrees by dinner time, the Pinot Noir was enjoyable and worked well with the flavors of the grilled steak. Definitely smooth and probably even better for you if you are pulling it from some place with better temperature control than we have in our basement.